Carpenter’s Local 46 business representative Jerry Castanon (right) was saved by fellow union members who gave him CPR after a heart-attack. 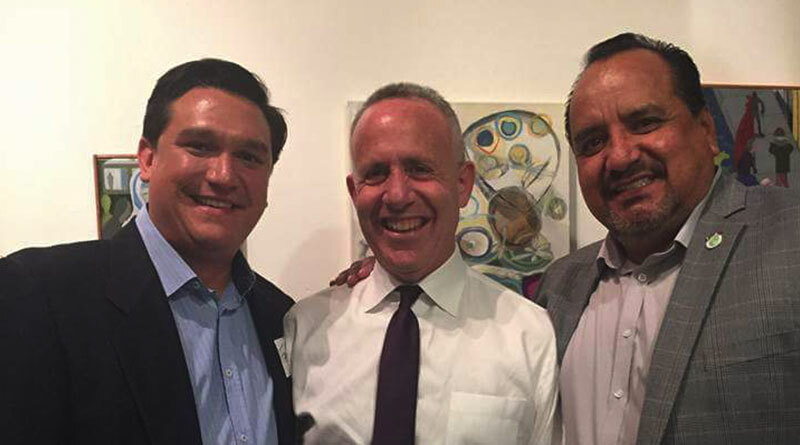 Castanon is pictured here with Mayor Darrell Steinberg (center) and SCLC head Fabrizio Sasso (left). Quick thinking and union training helped members of Carpenter’s Local 46 save a fellow member’s life last month after he suffered a major heart attack. Carpenter’s Local 46 Business Representative Jerry Castanon was volunteering with his union brothers at the Veterans Center in Citrus Heights on Feb. 17, building a new front porch on the facility, when he had suffered a massive heart attack. Two Local 46 members performed CPR on Castanon until medical workers could transport him to Mercy San Juan Hospital, where he underwent surgery. Castanon had two stints inserted in his heart, and after being placed in a medically induced coma and a two week hospital stay, is now at home in Dixon rehabbing. The emergency room doctor who performed the surgery said the CPR administered on the job site by Jerry’s fast-thinking Brothers likely saved his life, said Larkins. Building Trades apprentices are required to learn basic first aid/CPR as part of their training graduation requirements and Journeyman Building Trades members must update their required CPR/First Aid skills as part of their graduation certification requirements. Castanon is a former Mayor and City Councilman for the city of Dixon. As a member of the Dixon City Council, Castanon was a supporter of both apprenticeship programs and veterans. Jerry was instrumental in getting the Solano County Board of Supervisors to vote to require contractors on public works programs to participate in join labor-management apprenticeship programs to bid on government work. In a recent media article, Castanon pointed out the community benefits of such requirements, especially for veterans. “For our brave young men and women, it allows them to transition to civilian life … to work locally and have a career,” he said. Sacramento Building Trades leader Kevin Ferreira said the incident showed that the value of the union and the apprenticeship model goes far beyond career training. 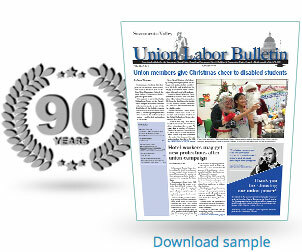 Unions build family and community, and a strong sense of responsibility towards fellow members.